Are you looking for a travel toddler bed? 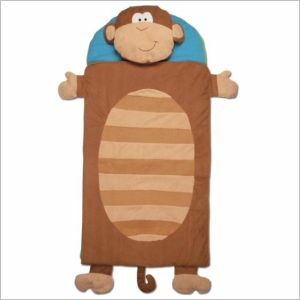 There are all sorts of beds available, from pack-and-play style beds for the youngest toddler to airbeds or cots. We’ve reviewed many of these on other pages [insert links once these pages are up]. 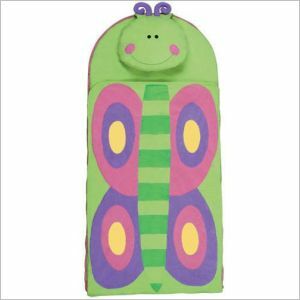 Here we’ll look at one special category of the travel bed for tots; the nap mat. And it can be used anywhere there is a clean floor, preferably, a soft carpeted floor. Although these portable beds are designed for naptime use, they can make good toddler beds for overnight stays as well if your child doesn’t move much when he’s sleeping: little people don’t have to have ultra-soft mattresses to curl up on. 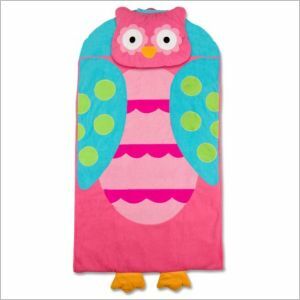 Or use them on top of a standard mattress: the fun, familiar pattern, color and feel will make your toddler feel at home at once and he may sleep much better than otherwise..
Of course, using a nap mat as a travel toddler bed doesn’t come without it’s negative sides. The size of the bed—such a bonus when you’re folding it up and packing it away for the trip—may become a bit of a problem when you expect your toddler to sleep in it for any amount of time, simply because little children like to roll. If your toddler likes to sleep lying quietly on his back, smiling serenely at the ceiling, the nap mat is definitely the ideal bed. If not, whether or not it is usable will depend on how much of the night your toddler will actually spend in it and how much of the night he will be somewhere out on the bare floor (or mattress). The other con of using a nap mat is in its thickness, and the fact that it’s right on the floor (or on whatever surface you decide to put it). Nap mats work best on clean, plush carpeted floors, on foam mats, or on top of mattresses. They are less than ideal on hardwood or tiled floors, and they’re really not suitable for any public place where the floor is walked over by many different dirty shoes. If you want to be able to put your child down anywhere—in an airport terminal, say—an inflatable bed may be a better buy; or a travel cot with sides. Unless you have a piece of luggage big enough to use as a mattress, and you can have your toddler lay his mat down on that. Whichever you choose, your toddler will have a beautiful travel toddler bed and likely be the envy of all his or her little friends.